Bespoke publications are our speciality. For the charities and good causes that we work with, we specialise in securing the funding required to ensure publications are produced at no expense whatsoever to them. This work ethic means that funds raised by the respective charities get used for the essential front-line work that they were intended for. It is through the generous support of local businesses in sponsoring space in our publications, that this is made possible. Just read some of the testimonials that we have on our site to hear for yourself how much our company benefits the good causes that we work with. We realise that, in these tough economic times, finances are maybe more strained than in the past, but the exceptional charitable disposition of businesses in Northern Ireland and beyond is to be applauded. Without their support, charities would have to self-finance their publications, and in most cases, they simply would not be affordable. 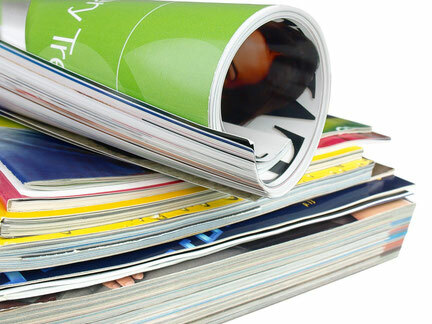 Utilising our extensive expertise, we produce totally bespoke publications for respective organisations. Principals are often in our premises, working through their content, ensuring everything is produced just the way they want it. Used to publicise the activities of the organisations concerned, the publications we produce are a very important outreach tool, letting those within each network know, through being featured in each edition, that their work is valued. As an additional benefit, through our associated print company Media Design and Print, we extend an annual allowance to affiliated organisations. This allowance is used by respective organisations, as and when required, for a variety of printed items from our extensive range eg. stationery, leaflets, posters, pull-up banners etc., meaning they get their products completely free of charge.